Count Hermann von Keyserling (1880-1946), a Baltic German aristocrat, best known for his travel writings and philosophical musings, left behind a detailed account of his meetings with Ku Hung-ming in his Travel Diary of a Philosopher, published in 1925. I spend many hours each day with Ku Hung-Ming and his friends and supporters. He is a man of such wit and such a fiery temperament that I am sometimes reminded of a Latin. Today he was explaining at great length how wrong the Europeans, and especially the sinologists are, in considering the development of Chinese culture quite by itself, without comparison with that of the West: for both have evolved, according to him, within the frame of an identical formula. 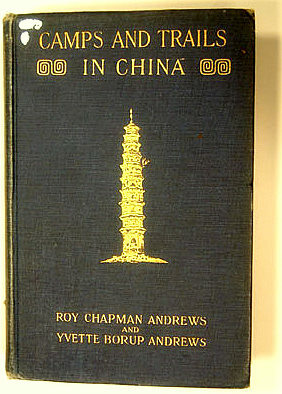 In both there has been an equivalent of antiquity and medievalism, renaissance and enlightenment, reformation and counter-reformation, Hebraism and Hellenism (to use the terms of Matthew Arnold), rationalism and mysticism; and the parallel is to be drawn even in detail: even in China, for instance, there has been a Bayard. I do not know Chinese history sufficiently in order to test the soundness of these comparisons, and I rather suspect Ku Hung-Ming, as I do the majority of his countrymen, of practising rather too cheap a form of intellectualism, such as flourishes, for instance, in Southern Italy. This much, however, is true: all historical conditions are special manifestations, brought about by particular circumstances, of the natural forms of human life, which are the same everywhere; and since all possible combinations of circumstances vacillate round a few types whose sequence appears to be subject to one rule, it cannot but be that all peoples of comparable temperament also pass through comparable stages. 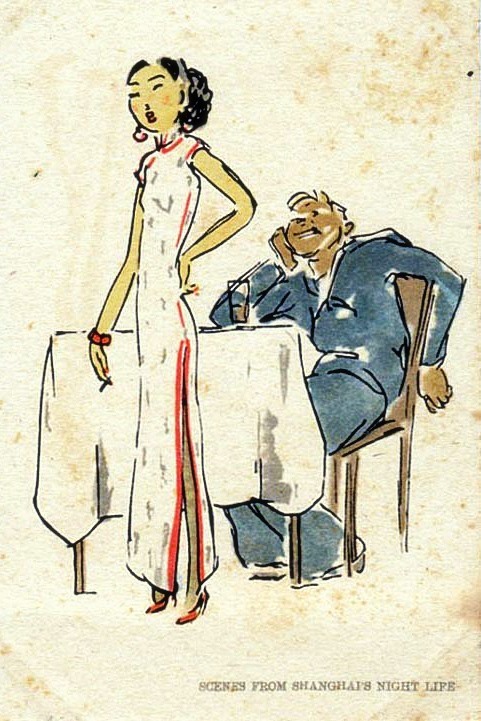 Now Western Europeans and Chinamen are singularly comparable; they belong essentially to an identical fundamental type, the type of the “men of expression,” to which the Indians and the Russians, for instance, do not belong. It must be possible, therefore, to establish historical parallels. Nevertheless, my attitude towards the value of such comparisons is sceptical. Time may possess one single significance in itself — it certainly is not so in reference to men. The Chinese are men of long, and we of short, breath, for us mobility, for them quiescence is the normal condition. How, then, can one make valid comparisons? We boast of our rapid progress: thanks to it, we will probably always remain barbarians, since perfection is possible only within given limits and we are perpetually changing ours. Nor do I accept it as agreed that we will continue to advance for long at the same rate: every direction in life is limited inwardly; we too will one day reach the end, and probably earlier than we think. — I have often heard the following argument, especially in India: since all cultures we are aware of start at a relatively high level — and this is correct — this presupposes that there has been before an exceedingly long period of slow ascent. Most certainly not! Every idea contains within itself, not only in theory but de facto, the whole of its consequences; it strives for actuality; it becomes embodied wherever matter permits it to do so, so that, as soon as the mental processes are set in motion at all, they take place with great rapidity. For this reason, as long as consciousness is asleep, aeons may pass before anything new happens; this may occur either in the primordial state or, as in China, at a certain level of culture which has once been reached. But once it has been wakened, development takes place with extreme rapidity. How long was the span of time from the awakening of the Greek spirit to its perfection? A century. How long did it take from the discovery of the principle of aviation until it was applied perfectly in practice? Not ten years. In the same sense it may very well be that we too shall shortly come to an end, and stop progressing at a level of development which will be not nearly so far ahead of that of China as we suppose. For in the modern sense of the word we too are progressive people only for the last hundred years. Ku Hung-Ming does not miss a single opportunity of having a dig at Laotse. 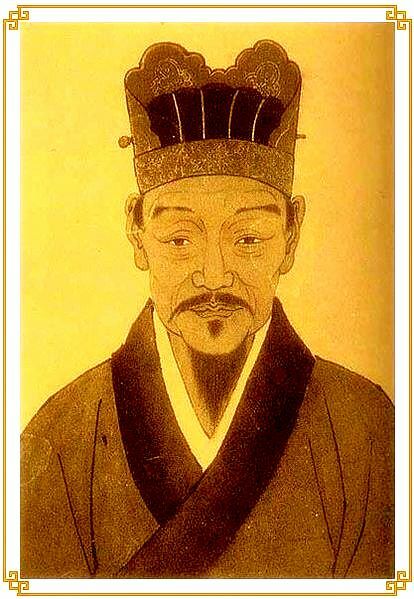 His fundamental thesis is that Confucius is the infinitely greater of the two because he understood significance as profoundly as Laotse, but did not retire from the world, but expressed his profundity in his mastery of it. If Confucius really had been, and had achieved, what Ku asserts of him, then, of course, he would be incomparably greater. However, this is not so. It would appear to be contradictory to nature that the same man should live altogether in profundity and prove himself, at the same time, to be a mighty organiser of the surface; each one of these problems requires a special physiological organisation, and I know of no accredited case in which a man possessed both to a similar degree. Kung Fu Tse and Laotse represent the opposite poles of possible perfection; the one represents the perfection of appearance, the other perfection of significance; the former, perfection within the sphere of the materialised, the latter, within the non-materialised; therefore they cannot be measured with the same gauge. But Confucius must no doubt appear greater to the Chinese because they are practical to the extreme as a nation, and to this extent they have no direct relation to profundity as such. The more I see of the Chinese, the more I notice how uninteresting their thoughts are. Their thinking is not their essential quality: their existence is the expression of their depth. Thus Ku Hung-Ming is far more important as a man than as a writer and as a thinker. IT was surprising to find so vast a city in a spot that seemed to me so remote. From its battlemented gate towards sunset you could see the snowy mountains of Tibet. It was so populous that you could walk at ease only on the walls and it took a rapid walker three hours to complete their circuit. There was no railway within a thousand miles and the river on which it stood was so shallow that only junks of light burden could safely navigate it. Five days in a sampan were needed to reach the Upper Yangtze. For an uneasy moment you asked yourself whether trains and steamships were as necessary to the conduct of life as we who use them every day consider; for here, a million persons throve, married, begat their kind, and died; here a million persons were busily occupied with commerce, art, and thought. And here lived a philosopher of repute, the desire to see whom had been to me one of the incentives of a somewhat arduous journey. He was the greatest authority in China on the Confucian learning. He was said to speak English and German with facility. He had been for many years secretary to one of the Empress Dowager’s greatest viceroys, but he lived now in retirement. On certain days in the week, however, all through the year he opened his doors to such as sought after knowledge, and discoursed on the teaching of Confucius. He had a body of disciples, but it was small, since the students for the most part preferred to his modest dwelling and his severe exhortations the sumptuous buildings of the foreign university and the useful science of the barbarians: with him this was mentioned only to be scornfully dismissed. From all I heard of him I concluded that he was a man of character. When I announced my wish to meet this distinguished person my host immediately offered to arrange a meeting; but the days passed and nothing happened. I made enquiries and my host shrugged his shoulders. I did not think it was proper to approach a philosopher in so cavalier a fashion and I was hardly surprised that he had ignored a summons such as this. I caused a letter to be sent asking in the politest terms I could devise whether he would allow me to call upon him and within two hours received an answer making an appointment for the following morning at ten o’clock. I was carried in a chair. 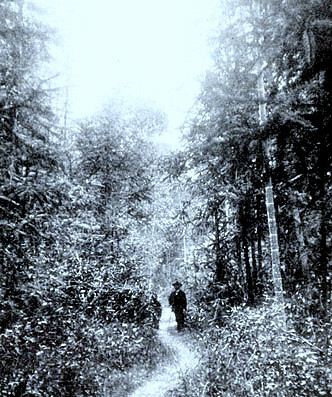 The way seemed interminable. I went through crowded streets and through streets deserted till I came at last to one, silent and empty, in which at a small door in a long white wall my bearers set down my chair. One of them knocked, and after a considerable time a judas was opened; dark eyes looked through; there was a brief colloquy; and finally I was admitted. A youth, pallid of face, wizened, and poorly dressed, motioned me to follow him. I did not know if he was a servant or a pupil of the great man. I passed through a shabby yard and was led into a long low room sparsely furnished with an American roll-top desk, a couple of blackwood chairs and two little Chinese tables. Against the walls were shelves on which were a great number of books: most of them, of course, were Chinese, but there were many, philosophical and scientific works, in English, French and German; and there were hundreds of unbound copies of learned reviews. Where books did not take up the wall space hung scrolls on which in various calligraphies were written, I suppose, Confucian quotations. There was no carpet on the floor. It was a cold, bare, and comfortless chamber. Its sombreness was relieved only by a yellow chrysanthemum which stood by itself on the desk in a long vase. I waited for some time and the youth who had shown me in brought a pot of tea, two cups, and a tin of Virginian cigarettes. As he went out the philosopher entered. I hastened to express my sense of the honour he did me in allowing me to visit him. He waved me to a chair and poured out the tea. I ventured to protest. But I had not caught his point. He leaned back in his chair and looked at me with an expression of mockery. I saw then that my friend’s unfortunate communication still rankled. I did not quite know how to reply. I murmured something complimentary. He was an old man, tall, with a thin grey queue, and bright large eyes under which were heavy bags. His teeth were broken and discoloured. He was exceedingly thin, and his hands, fine and small, were withered and claw-like. I had been told that he was an opium-smoker. He was very shabbily dressed in a black gown, a little black cap, both much the worse for wear, and dark grey trousers gartered at the ankle. He was watching. He did not quite know what attitude to take up, and he had the manner of a man who was on his guard. Of course the philosopher occupies a royal place among those who concern themselves with the things of the spirit and we have the authority of Benjamin Disraeli that royalty must be treated with abundant flattery. I seized my trowel. Presently I was conscious of a certain relaxation in his demeanour. He was like a man who was all set and rigid to have his photograph taken, but hearing the shutter click lets himself go and eases into his natural self. He showed me his books. Though he put the remark apologetically it was evident that he was not displeased to say a slightly disagreeable thing. “We have had philosophers who have not been without influence in the world of thought,” I suggested. “Have you studied the modern developments of philosophy in America?” I asked. His judgments were tart. We sat down once more and drank another cup of tea. He began to talk with fluency. He spoke a somewhat formal but an idiomatic English. Now and then he helped himself out with a German phrase. So far as it was possible for a man of that stubborn character to be influenced he had been influenced by Germany. The method and the industry of the Germans had deeply impressed him and their philosophical acumen was patent to him when a laborious professor published in a learned magazine an essay on one of his own writings. But his study of Western philosophy had only served in the end to satisfy him that wisdom after all was to be found within the limits of the Confucian canon. He accepted its philosophy with conviction. It answered the needs of his spirit with a completeness which made all foreign learning seem vain. I was interested in this because it bore out an opinion of mine that philosophy is an affair of character rather than of logic: the philosopher believes not according to evidence, but according to his own temperament; and his thinking merely serves to make reasonable what his instinct regards as true. If Confucianism gained so firm a hold on the Chinese it is because it explained and expressed them as no other system of thought could do. My host lit a cigarette. His voice at first had been thin and tired, but as he grew interested in what he said it gained volume. He talked vehemently. There was in him none of the repose of the sage. He was a polemist and a fighter. He loathed the modern cry for individualism. For him society was the unit, and the family the foundation of society. He upheld the old China and the old school, monarchy, and the rigid canon of Confucius. He grew violent and bitter as he spoke of the students, fresh from foreign universities, who with sacrilegious hands tore down the oldest civilisation in the world. But at that moment we were interrupted. A little girl came softly in and nestled close up to the old gentleman. She stared at me with curious eyes. He told me that she was his youngest child. He put his arms round her and with a murmur of caressing words kissed her fondly. She wore a black coat and trousers that barely reached her ankles, and she had a long pig-tail hanging down her back. She was born on the day the revolution was brought to a successful issue by the abdication of the emperor. From a drawer in his roll-top desk he took a few cash, and handing them to her, sent her away. He talked to me, more gently now, of how philosophers in long past days wandered from state to state with their disciples, teaching all who were worthy to learn. Kings called them to their councils and made them rulers of cities. His erudition was great and his eloquent phrases gave a multicoloured vitality to the incidents he related to me of the history of his country. I could not help thinking him a somewhat pathetic figure. He felt in himself the capacity to administer the state, but there was no king to entrust him with office; he had vast stores of learning which he was eager to impart to the great band of students that his soul hankered after, and there came to listen but a few, wretched, half-starved, and obtuse provincials. Once or twice discretion had made me suggest that I should take my leave, but he had been unwilling to let me go. Now at last I was obliged to. I rose. He held my hand. I protested that the recollection of my visit was in itself a priceless gift. He smiled. He looked at me with an amicable perplexity. I had an inspiration. “Give me a sample of your calligraphy,” I said. He sat down at his desk, took a fair sheet of paper, and placed it before him. He poured a few drops of water on a stone, rubbed the ink stick in it, and took his brush. With a free movement of the arm he began to write. And as I watched him I remembered with not a little amusement something else which had been told me of him. It appeared that the old gentleman, whenever he could scrape a little money together, spent it wantonly in the streets inhabited by ladies to describe whom a euphemism is generally used. His eldest son, a person of standing in the city, was vexed and humiliated by the scandal of this behaviour; and only his strong sense of filial duty prevented him from reproaching the libertine with severity. I daresay that to a son such looseness would be disconcerting, but the student of human nature could look upon it with equanimity. Philosophers are apt to elaborate their theories in the study, forming conclusions upon life which they know only at second hand, and it has seemed to me often that their works would have a more definite significance if they had exposed themselves to the vicissitudes which befall the common run of men. I was prepared to regard the old gentleman’s dalliance in hidden places with leniency. Perhaps he sought but to elucidate the most inscrutable of human illusions. He finished. To dry the ink he scattered a little ash on the paper and rising handed it to me. “What have you written?” I asked. I thought there was a slightly malicious gleam in his eyes. I took the paper and looked at the Chinese characters. They made an agreeable pattern upon it. I bade him farewell, and with great politeness he showed me to my chair. When I had the opportunity I gave the poems to a sinologue of my acquaintance, and here is the version he made. I confess that, doubtless unreasonably, I was somewhat taken aback when I read it. Your eyes were full of laughter; your hands were tender. Your eyes were full of tears; your hands were cruel. And all the cruel splendour of your youth. And you at last would care. And all the charming splendour of your youth. And I care not if you care. Note: The character of the ‘Philosopher’ is based on the Chinese writer and diplomat, Ku Hung-ming, [Gū Hóngmíng 辜鴻銘] (1857-1928). He gave an order and the fellow was promptly taken out, thrown on the ground, and soundly thrashed. He was not only very much hurt, but exceedingly surprised, and what is more strangely mortified. It ruined his nerve. There and then he gave up his vagrant life and making his way to one of the out-ports applied to the commissioner of customs for a place as tide-waiter. It is not easy to find white men to take such posts and few questions are asked of those who seek them. He was given a job and you may see him now, a sun-burned, clean-shaven man of forty-five, florid and rather stout, in a neat blue uniform, boarding the steamers and the junks at a little riverside town, where the deputy-commissioner, the postmaster, a missionary, and he are the only Europeans. His knowledge of the Chinese and their ways makes him an invaluable servant. He has a little yellow wife and four children. He has no shame about his past and over a good stiff whisky he will tell you the whole story of his adventurous travels. But the beating is what he can never get over. It surprises him yet and he cannot, he simply cannot understand it. He has no ill-feeling towards the magistrate who ordered it; on the contrary it appeals to his sense of humour. Carl F. Kupfer, A. M., Ph. D.
“Wherever in China this mountain is mentioned, whether in Kiang-si or in the most distant province, every one knows what it stands for. Just as much as Rome is known to all Catholics to be the home of the Pope of the Roman Catholic Church, so all Chinese know that the Pope of the Taoist Religion has his residence here. 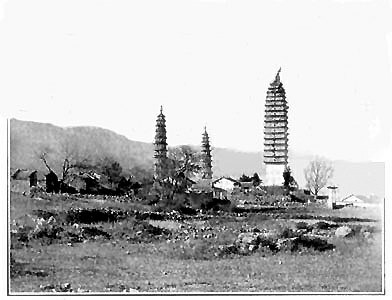 It was to this mountain retreat that Chang Taoling, the first Pope of the Taoist Religion, was directed in the first century of the Christian era. He had retired into seclusion in the mountains of Western China, devoting himself wholly to meditation and the study of alchemy. From the hands of Laotze, the founder of the Taoist Religion, who had lived six hundred years before him, he supernaturally received a mystic treatise by which he was enabled to compound the elixir of life. Download as a MS Reader LIT file.